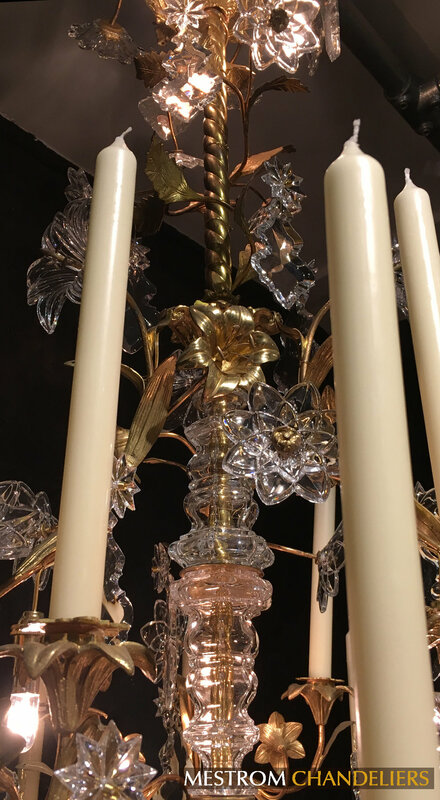 This spectacular ‘Flower Chandelier’ has bronze gilded floral structures and beautiful crystal pendants. It has two tiers of arms with 12 and 6 candleholders. 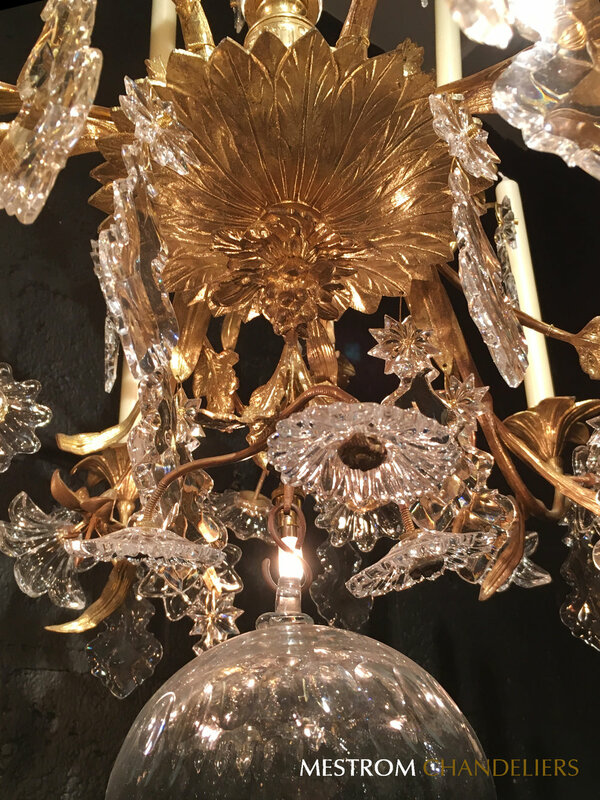 We’ve also added electric interieur lighting for the chandelier to shine in any occasion.